This post is for colleagues, patients, and friends whose greatest desire is to have a healthy baby via natural childbirth. In this article, natural childbirth refers to an unmedicated delivery of your baby, assisted with natural, non-pharmaceutical means. While not all women have the luxury of natural childbirth, and some choose other means, please know that Ginger supports all women and their personal decisions about birth. My first natural birth was December 27, 2005. After a long, hard labor that started on Christmas, my son Michael arrived safe and healthy into my arms. I could have better prepared for birth. Bradley technique had reinforced that yoga was a wonderful way to relax and give into the sensations of contractions. Prenatal Pilates and walking, along with yoga, had also provided me with the endurance to go the long 36-hour distance during labor. What was missing was my active, deliberate, and planned participation during birth. A birth plan helps to organize your thoughts, but a mother needs her own, personal birth plan too. After Michael’s birth, I began to create my own future personal birth plan, which also changed the way I saw, and helped, my own prenatal patients. That personal birth plan carried me beautifully (and with less pain and more control) through my next two births, William and James. An n of 2 (subject size of 2, in research terms) was small, but very soon after science began investigating the actual effects of using yoga for childbirth preparation and actual labor and delivery. The results are very promising, as I’ll discuss below. Physical Labor Needs: Adapt labor and birth positions based on the patient’s specific orthopaedic injuries or aches and pains that can prevent focus or certain positioning during birth. 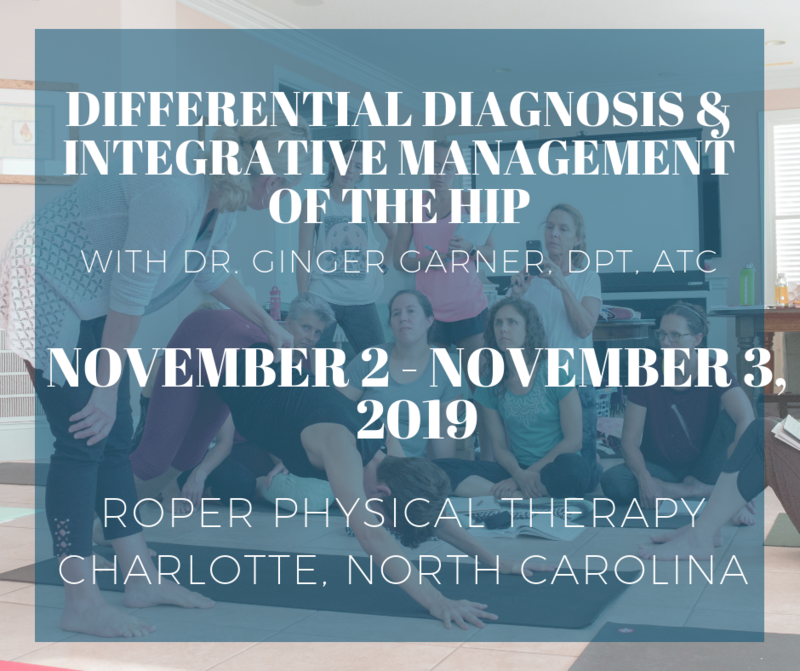 This could include but is not limited to problems like hip impingment, shoulder impingement, sacroiliac joint pain, back pain, limitations in ROM, or existing pelvic pain. Psychoemotional/Physical Labor Needs: Consider previous birth trauma or history such as prior C-section, episiotomy, or difficulty with pain management or dilation that may affect labor progression. Psychoemotional/Energetic/Spiritual Labor Needs: Establish adequate birth support during labor. A 2012 Cochrane review of RCT’s found that women with continuous support were more likely to have a spontaneous vaginal birth, less likely to have pain medications, epidurals, negative feelings about childbirth, vacuum or forceps-assisted birth, and C-sections. Women with support also had shorter labors by 40 minutes, higher APGAR scores, and the best overall outcomes. Constant support means a mother has someone continuously at her side during the entirety of labor. That person must also be an active, knowledgeable participant in the labor process, not just a warm body taking up space. Intellectual Labor Needs: Educate the mother and her birth partner about how to execute the personal birth plan, which can include yogic breathing, a bevy of yoga posture options for individualized labor and birth positions, guided imagery and/or motor imagery techniques, and hands-on manual therapy techniques. Psychoemotional/Energetic Labor Needs: Address any previous birth or sexual trauma which could create anxiety and fear. Anxiety and fear of childbirth can prolong labor more than 90 minutes (Adams et al 2012). Yoga is an amazing, proven method to directly diminish perceived pain during labor, immediate postpartum pain, and shorten labor duration, as well as improve maternal comfort and birth outcome scores, as found in a 2008 randomized trial of 78 pregnant Thai women. Ginger’s Blog reveals some very critical facts, regarding the unfortunate reality of OBGYN-assisted hospital births. Choosing OBs over CNMs early on in my own pregnancy, due to high-risk concerns (2 previous miscarriages and Advanced Maternal Age) seemed appropriate during my 1st 20 weeks of pregnancy, but I realized too late, that I should’ve changed providers back to a Midwifery practice, once I discovered my pregnancy was no longer high-risk. What I’m dealing with now is literally fighting to maintain the dignity of my wishes to experience my third natural childbirth, in a climate of westernized medicine that goes against all of my beliefs as an Integrative Physical Therapist and Medical Therapeutic Yoga practitioner and my previous experiences of natural labor & delivery. Routine hospital procedures, which may not even be medicine based on evidence–regarding healthy outcomes for mom & baby, such as administering an IV to keep me hydrated (vs. drinking water & ice chips throughout my previous labors which worked just fine), offering a powerfully numbing epidural that would keep me confined in bed during labor, artificially inducing labor of the baby & placenta with the artificial hormone pitocin, offering potent pain medications like stadol that can cause long-term effects on baby’s neural development, forcing a mom to push in an ineffective lithotomy position, and staying on the doctor’s time clock– are all experiences I never witnessed or had to fight against when birthing with my Certified Nurse Midwives! I have learned that these routine procedures and offerings are typical in an OB & traditional hospital setting. 8 out of 10 OBs in the practice I’ve chosen have reassured me since Day 1 that I can “birth naturally with them” and that they would “ride my wave” but sadly, I’ve discovered in the last 2 weeks that a small handful of old school or new grad OBs are now highly resistant to my Birth Plan. So I’ve armed myself with (re-)education, drawing on my past experiences, and a maintaining a strong will to gain the most normalized, non-medicated, natural childbirth experience that I’m hoping and praying for. I feel confident, finally at this point, that I can self-advocate firmly with my L & D nurses and attending OB of my wishes for normal labor & delivery, along with strong moral support from my attending husband and sister. One book that 100% mentally & physically prepared both me and my husband for my labor with my firstborn Ethan 17 years ago was “Natural Childbirth The Bradley Way” by Susan McCutcheon. We also took the 13 week couples preparation class and used as many principles in it that we could. The result was a brief, 8 hour cumulative natural labor & delivery to a healthy baby boy that was very hard work…but almost painless due to my pain management techniques of deep-breathing, meditation, and mental imagery practice and training. My husband was a phenomenal coach and I felt an overwhelming sense of accomplishment and reward. I was not even a medical professional yet then, nor was I when Graham was born over 12 years ago and had a similar experience in a birthing center (despite the fact that he was posterior and 9lbs. 2oz.!) I didn’t have to be a medical provider, in order to be fully educated and prepared for one of the biggest events I’d ever experience in my life as a mother. I encourage all mothers who are expecting now, or at least plan to in the near future, to seek out Integrative Medicine Mothering & Womens’ Health resources, that advocate natural methods of pain relief and medicine that empowers and educates YOU. One perfect place to start is by checking out my friend & yoga therapy mentor’s website & blog: http://www.gingergarner.com and exploring her “Fit And Fearless Birth” and other evidence-based medicine articles on Mothering Resources. Also buy the Natural Childbirth book mentioned above and ask your husbands to read it too! Even if you have NO desire to labor & deliver naturally, and leave it up to the docs to guide you for this marathon event, give yourself & your baby a chance to become fully educated on the entire process of labor & delivery and exploring your options. Thank you SO much for sharing your story Veronica, your concerns, and your hopes for your childbirth and new journey into motherhood for a third time! Your input is valuable and I want to share it with many more moms as we work toward getting this post “seen” by many more folks. I am 41 years old and I am Pregnant . My doctor said that It is not safe for me to have a natural childbirth due to my age. I’m practicing YOGA long time ago and I assumed that this help me to have my baby in a natural childbirth. Does anyone have any idea about this matter? A natural childbirth can be safe at any age – I have seen no scientific evidence that would not support a natural childbirth for women of low risk. Age does not automatically make you a high risk expectant mother, however, lifestyle choices (your general health) could. Make sure you are eaten healthy, sleeping well, and continuing to practice your yoga! Yoga beautifully prepares mothers for natural childbirth! I used it with all three of my sons – and the last one I delivered, at closet to 40 years of age – naturally! I am glad you took the time to stop in and comment – and hope that you find support in this post and on my site.